Today is Thanksgiving in Canada. That means it’s a holiday at Knotty Toys for Good Dogs. Humans will be gathering with their families & having a big feast. But thanksgiving is a time that makes turkey’s (and pigs) nervous because, well, you know. Turkeys are intelligent, social birds who love to explore their environment & will bond with other creatures, including humans. 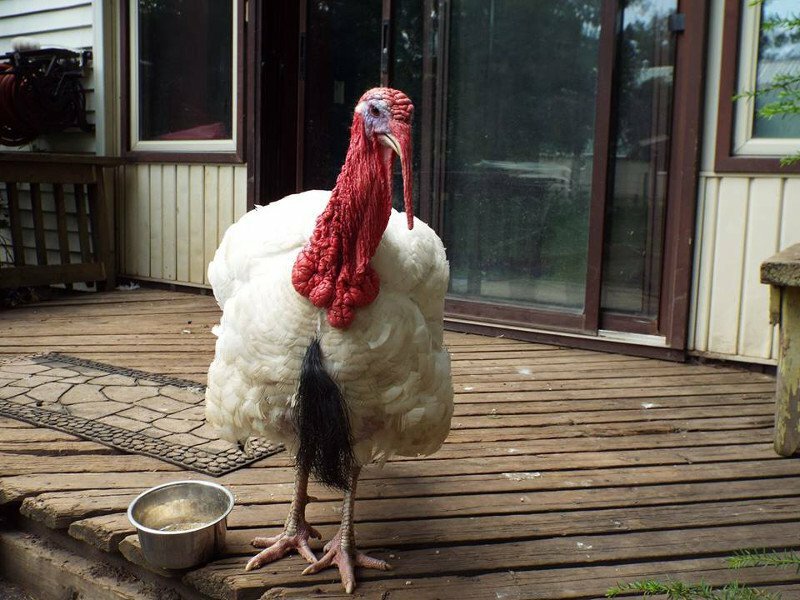 Turkeys have a capacity for emotions & can experience a wide spectrum, from happiness to anxiety. It has been observed that they posses a sense of humor too. Here’s a short video of a lucky turkey named Cornelius. He lives at the Happily Ever Esther Farm Sanctuary. When he’s not hanging out with Esther the Wonder Pig, he’s stealing cuddles. My huMom is a vegan, but we still have our feast & it will be pawsome & delicious. Now if you’ll excuse me, I have to help my huMom prep the veggies.